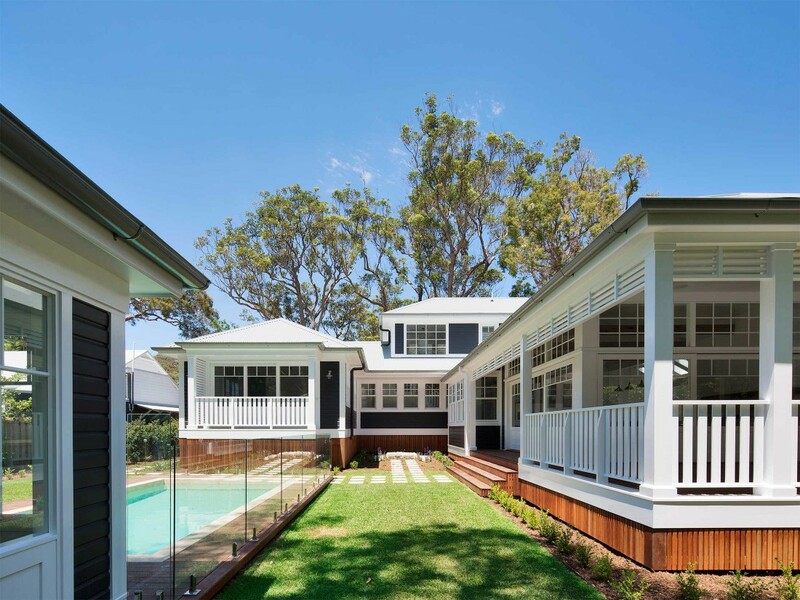 Nestled amongst a leafy setting in Avalon Village is this newly built traditional coastal home which makes reference to the Hamptons. 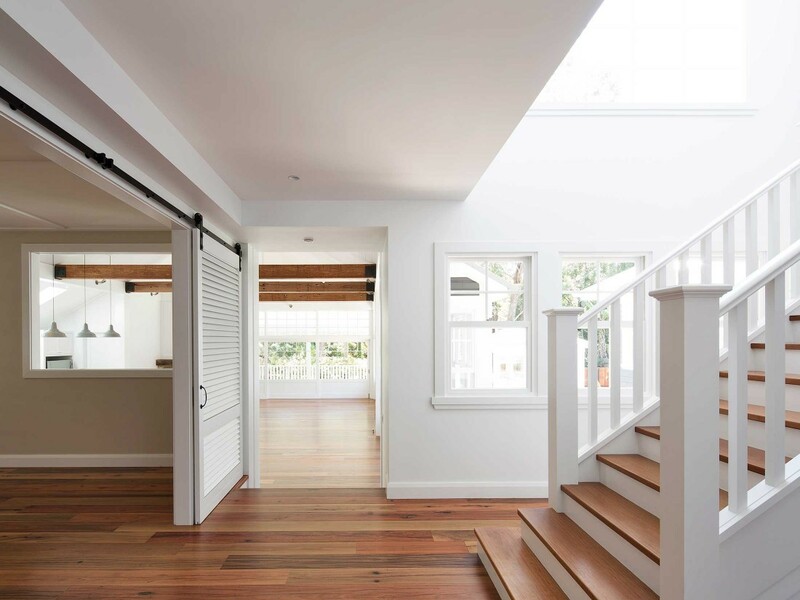 A central feature of the home is the spacious open plan and light-filled living area with expansive custom timber and glass sliding doors. 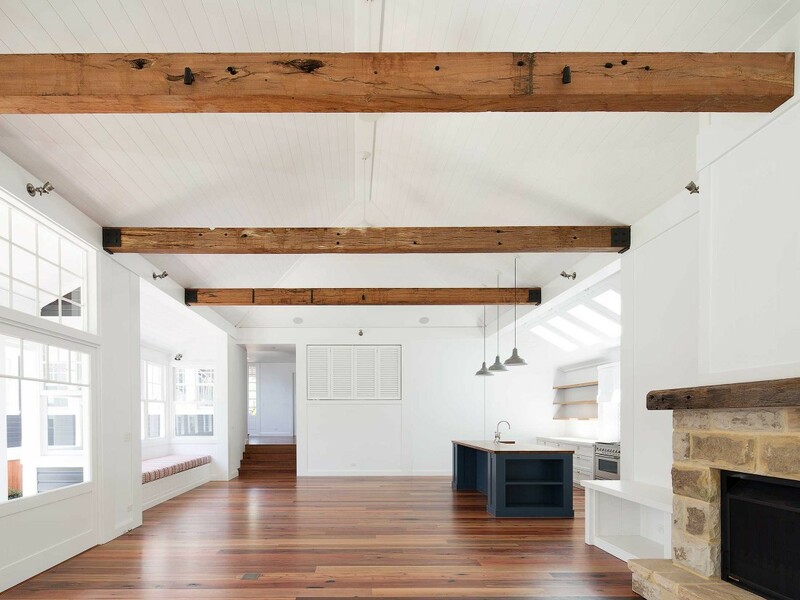 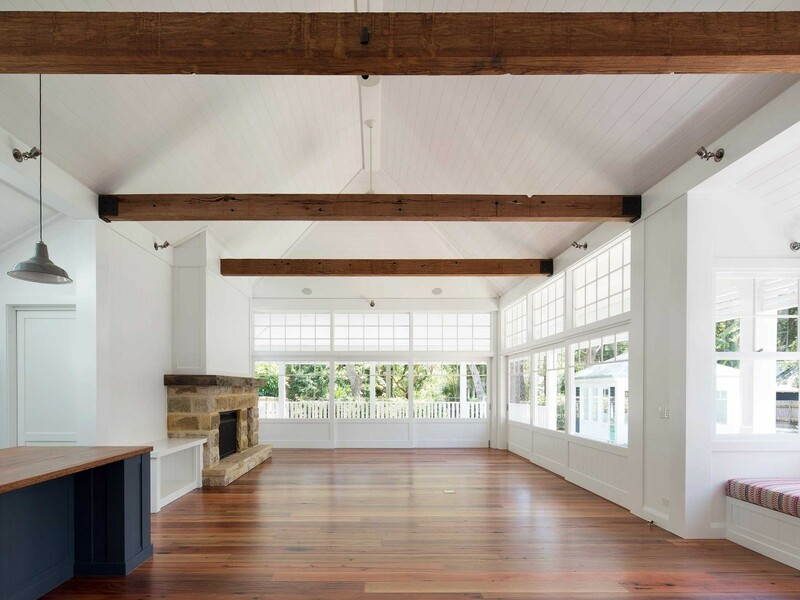 V-Joint timber panelled cathedral ceilings compliment large recycled hardwood timber beams salvaged from old bridges. 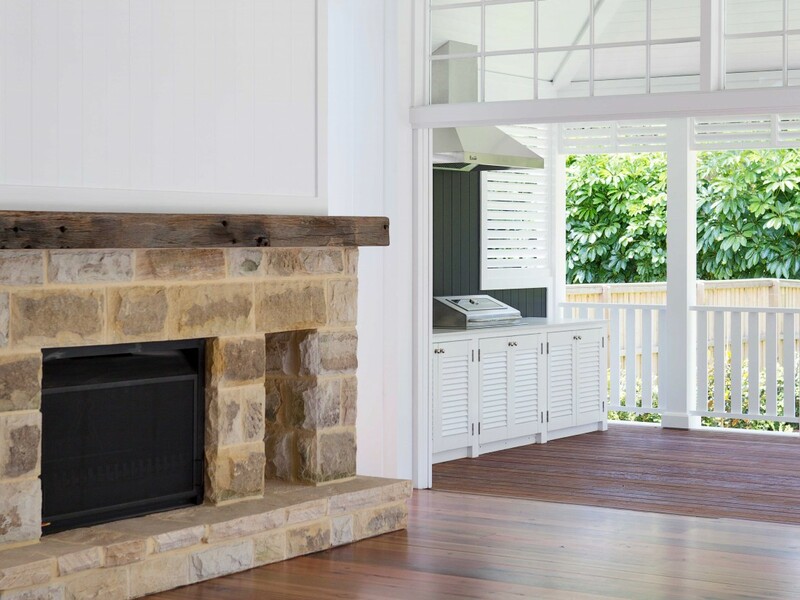 Crisp white walls provide a contemporary balance to the rustic elements of recycled iron bark flooring and reclaimed sandstone. 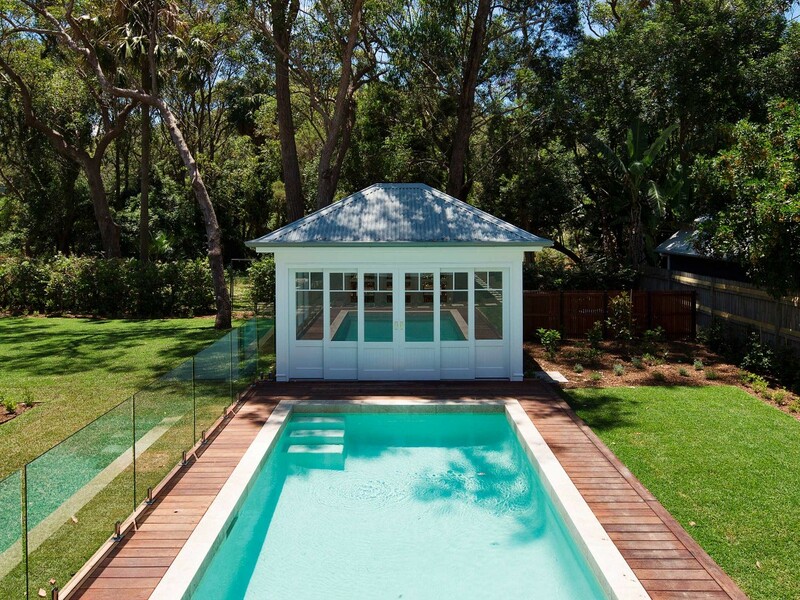 An elegant pool and pool house creates a visual connection between the main house and it’s landscape. 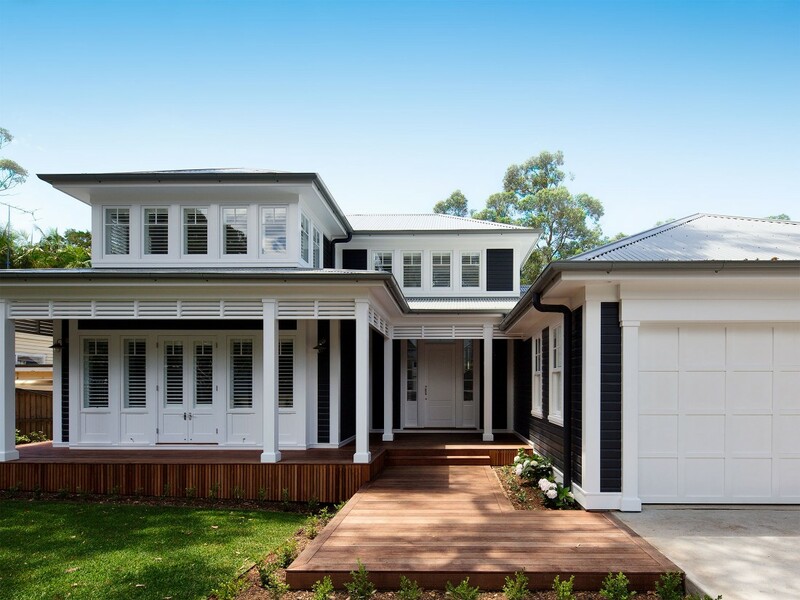 House design and construction by Alex Stritt for Stritt Design and Construction. 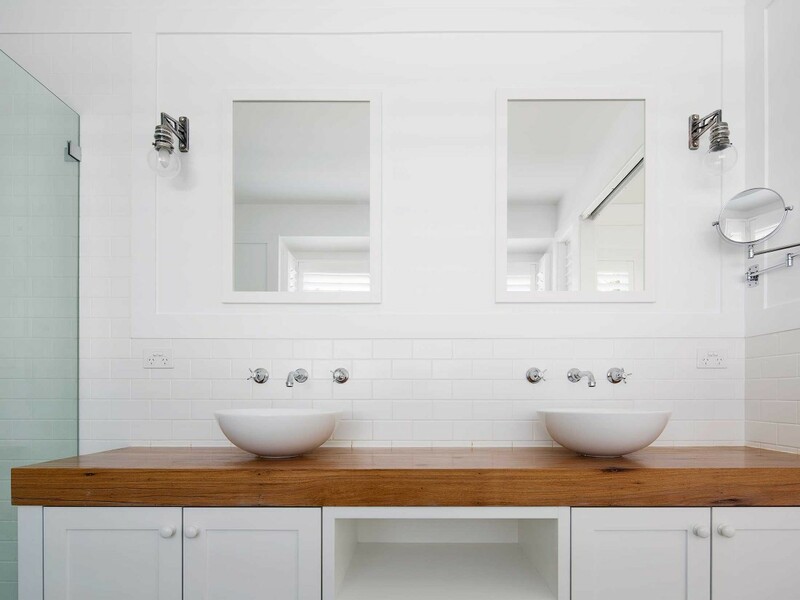 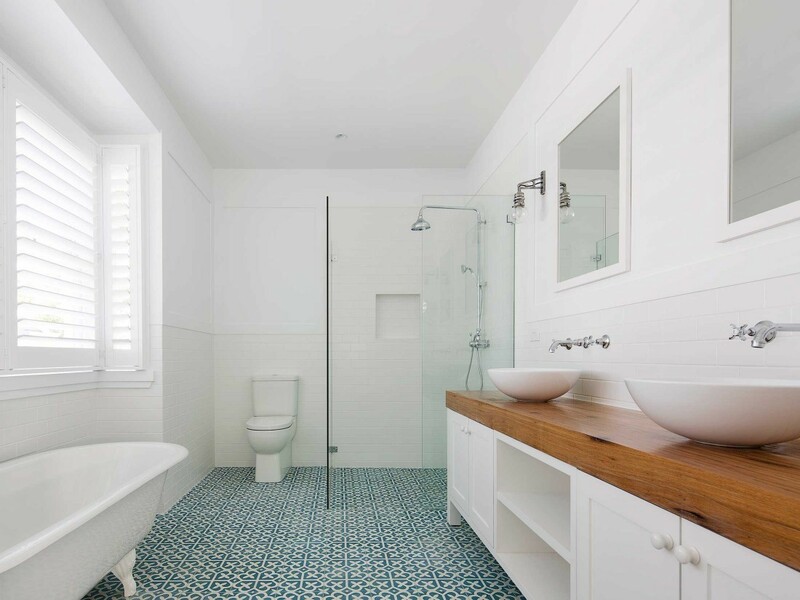 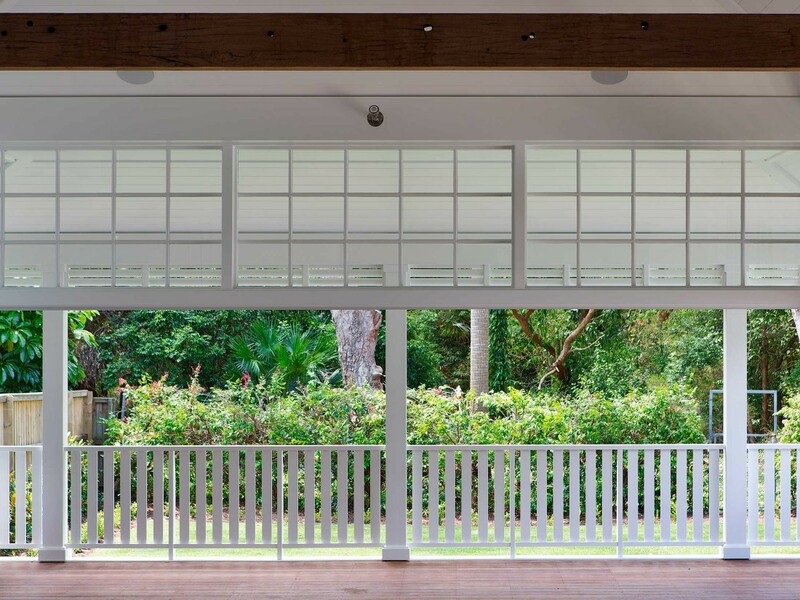 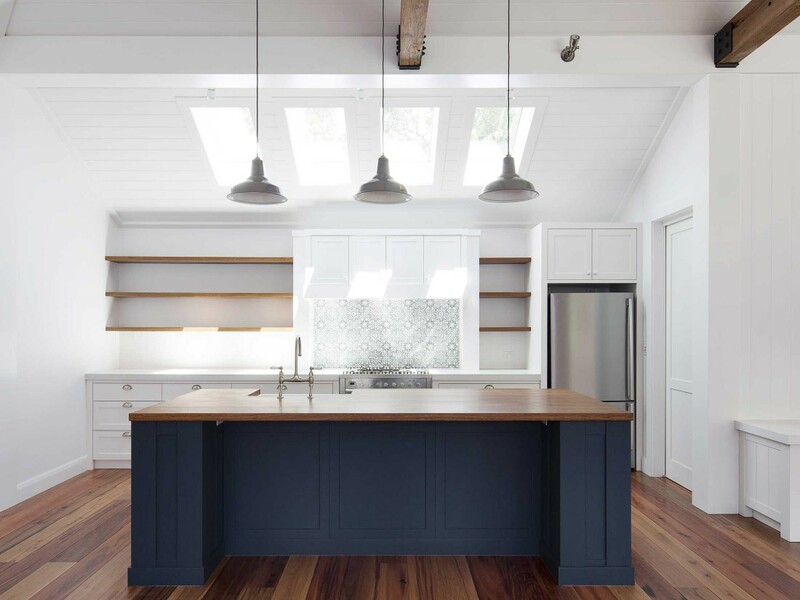 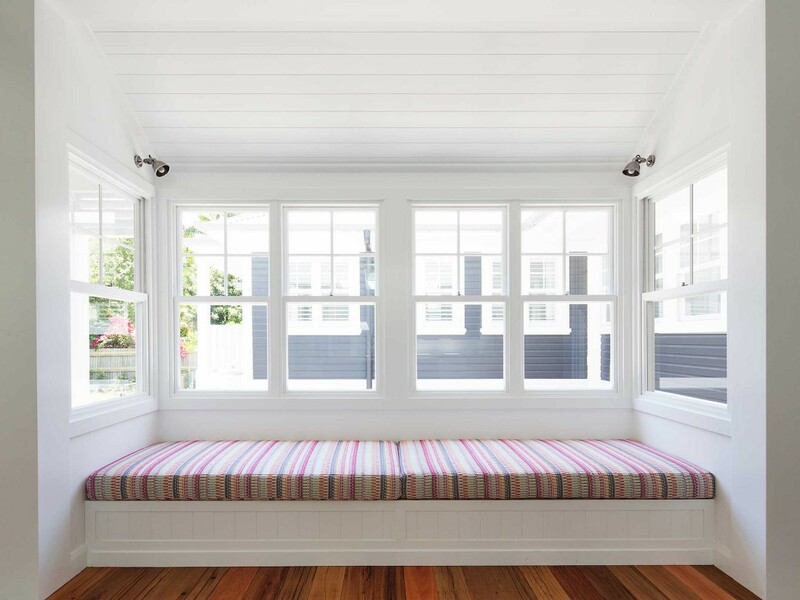 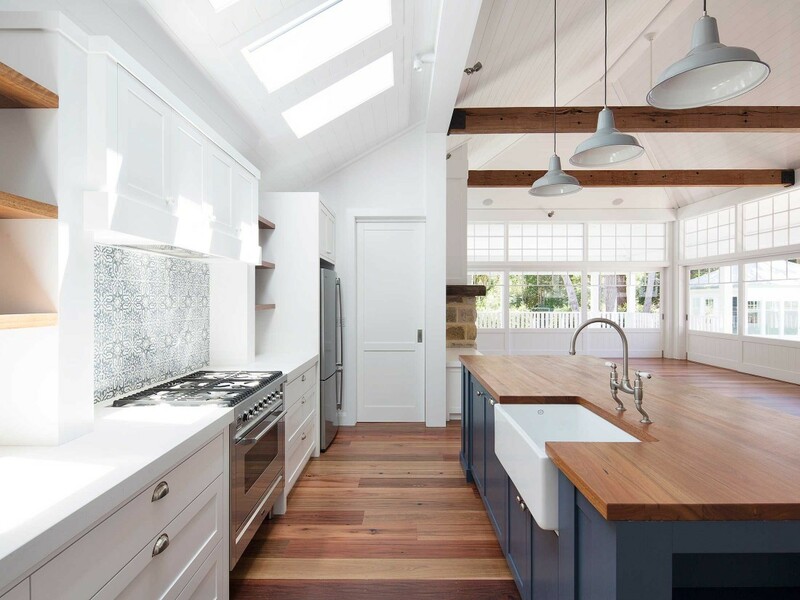 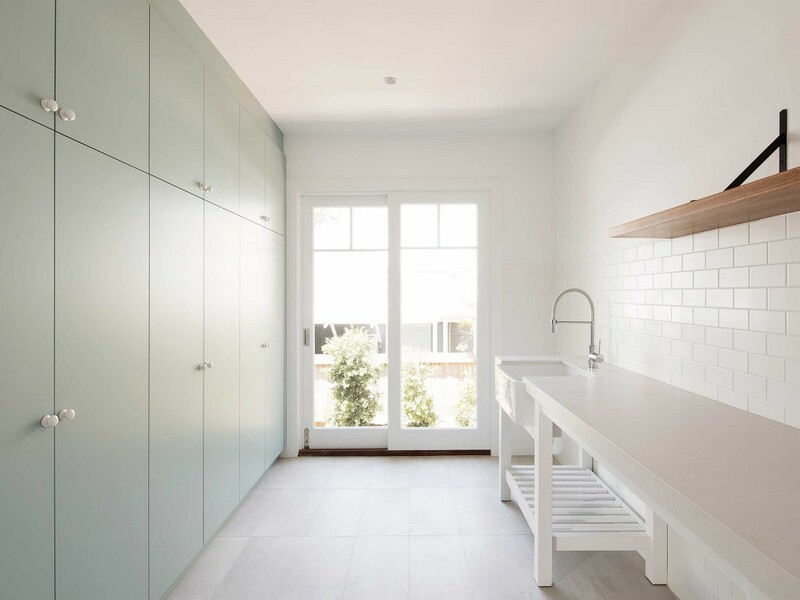 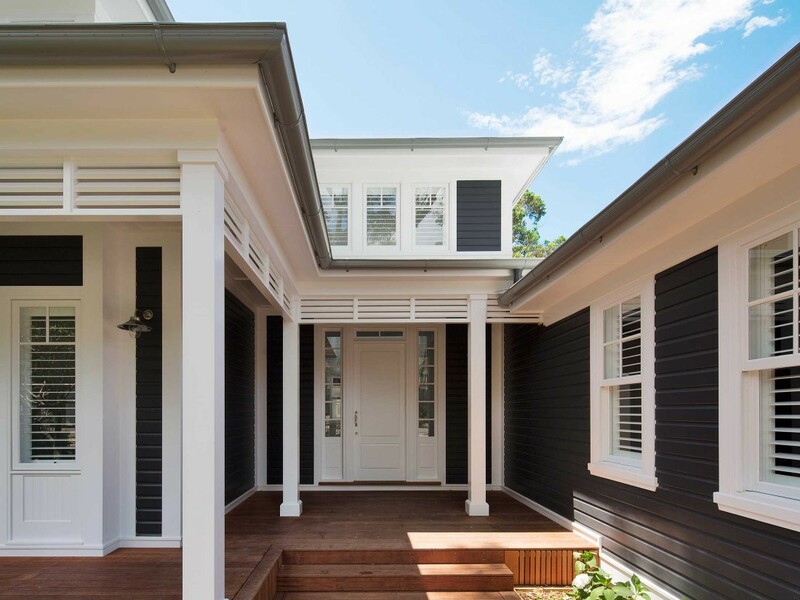 Stritt Design and Construction specialises in the design and construction of traditional coastal homes on Sydney’s Northern Beaches and North Shore.